Someone contacted me through this site. I went by and picked it up. A bit worse for wear, but cheaper than buying a new bike. Reunited, and it feels so good. Someone saw my post here, spotted my bike locked up, and notified the local PD for recovery. Someone was approached by the thief, who was selling the bike, and got suspicious. So my angel bought the bike and then checked Craigslist for "stolen ads" for a few days until a friend told him about Bike Index, where he found me! My saddle and wheels were intact, just some minor accessories missing, and our upstanding citizen even fixed my derailleur! Hi! I found this bike dumped outside of my workplace today. Matches the description. Seattle PD recovered bike and used info I provided in its theft report to contact me. Bike was missing rear rack, front brake, fenders and bottle brackets but came back with an extra tail-light which I didn't have. Recovered by Portland Police Bureau - "Unfortunately, it doesn't look much like it did when it was stolen... :("
Hello, I have some good news for you, I had some guy leave the scorpion as collateral while he test road my bike. Needless to say the guy never came back and I went to mark my bike on the Bike Index as stolen - and I saw your bike right there on the main page. I can't say I was that surprised after I got ripped off for mine that his collateral was stolen! Found listed on Craigslist. The people selling it say they bought it from someone else. I have their information. I decided not to press charges. I worked with a Bike Index member and tracked the bike up for sale on offerupnow.com With his help we set up a meet and had the thieves come over to sell the bike. He helped me confirm the serial number on the bike during the interaction with thieves. The thief was told the bike is stolen and was given the option to simply walk away without the bike. Credit on this goes to the ninja-like user in Seattle—who has essentially become Seattle's Bike Recovery Batman. Greetings, I just bought a kona honky tonk, red with mismatched parts looking a little worse for wear. It appears that this used to be your stead. I don't know the protocol for returning stolen goods, but if you still want the frame, that's what's left. I'd already tossed the junk it was connected to in order to make way for some big dreams. I'm sorry your bike was stolen! I dropped your bike off at the Issaquah Police Dept. Officer Scott of the Portland police recovered it, but Bike Index was instrumental! An awesome dude bought it on 3rd ave in Seattle for 1/3 of its value. He looked it up in the Bike Index and gave me a call! 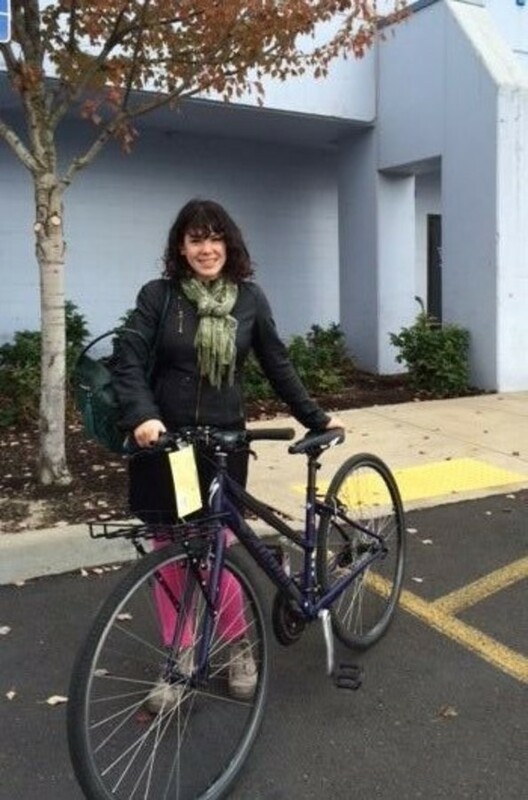 Portland Police Bureau recovered this bike, owner alerted through the Bike Index. A man who said he bought it for his girlfriend brought it in to Huckleberry Bikes, and they ran the serial number. When he found out it was stolen, he told them to keep it and they called me. Yay! This one was an interesting recovery - someone spotted it for sale on a Seattle street, thought it was sketchy, so they checked its serial number. It matched a stolen bike listing we had on file (from 2012!) so the cops and the owner were called, and the bike was freed. Bryan, just to let you know I've just been reunited with my bike. Such a happy feeling. I don't think I would've been able to without you so my deepest thanks to you and the Bike Index... you guys have a great system and its saved my life! Me and my friend are cycling to San Diego from Portland and this bike was an integral part of that. This bike was stolen, then spotted, then spotted again, and the owner chased it down with the help of some sharp-eyed PDX riders and police. The story's so long an involved they wrote a blogpost about their experiences. Thanks to Bike Index! This morning I got a text message from our hero, "Pardon me, I know it's late, but I think I found your bike." It was recovered from the Safeway at 122nd and Glisan. A customer at the store gave it to the security guard, who obviously thought that was suspicious. He brought it home, vigilantly and heroically checked the Bike Index, saw it was stolen, then texted me. So, the moral of the story is if you don't have your bike registered with the Bike Index, DO IT NOW. It doesn't have to be stolen to register! Astoria's Bikes and Beyond recovered this bike for me. Someone brought it in for service and they suspected it of being stolen. They did some research, found me, contacted me, dealt with the police, and even arranged to have it delivered back to Portland. Such great people. A young lad recognized it from social media and approached the youths that had it, told them it was his and took it back home - contacted via the info I listed here. The owner was working in (redacted) - he didn't even realize his house had been burglarized. I sent him the profile and he confirmed that not only was that his bike, but they had his wife's shoes, jackets, perfume, etc. This recovery - while not technically ours - is too crazy not to share: the Seattle-area spotter and all around Bike Recovery Ninja found this bike for sale on Offerupnow.com and knew it was a crooked sale. He set up a meet, set up an elaborate ruse to buy himself time, and tracked down the owner (via the shop that sold it) and positively ID'd the bike. Long story short: cops called, sellers busted, bike returned, other stolen items recovered -- and another notch was added to this Seattle-area ninja's bike recovery record. A couple of very solid guys at Portland's Chris King Components spotted this bike in a chop shop and seized it. Bike saved, owner happy! An SPD detective found this bike in a house he was serving a warrant on, ran it through us - natch, there was a hit, and we got in touch with the owner. Just picked it up! Aside from some hairline scratches on the seatpost from when they lowered it, it's good as new - Thanks again! Officers Riley and Scott from the Portland Police found it in less than 24 hours! Unbelievable. Portland Police Bureau found and returned this bike through Bike Index less than a day after it was taken in a car smash-and-grab, the owner wrote us afterward. The police recovered our bike about a week after it was stolen (a known criminal was riding it, so they were suspicious). The officer made it very very clear that we likely wouldn't have gotten it back if we hadn't entered it into this database and made it so easy to determine stolen. So grateful for this service! Hey I have your bike in my shop currently for repair, please call ... (later) Portland police now have the bike. Another case of someone bringing a stolen bike into a shop. Another interesting Seattle PD recovery: this bike thief was caught on camera (youtube link!) taking this Specialized Ruby Comp. Weeks later, we're speaking to an SPD detective (who was on his 3rd or 4th bike thief arrest in three days) when he runs across the thief, and the bike, and makes an arrest. Pretty phenomenal. I spotted my frame and assorted parts on eBay, notified Bike Index, and they got ahold of a Detective at the SPD .... The detective recovered my frame and the majority of my other parts in a record breaking 24 hrs after I spotted the bike. If I had not been registered with Bike Index I would have had the connections that allowed for my bike to be recovered before it was sold. Thank you to all involved in getting my bike back to me! The police emailed me saying they have my bike! I don't know who recovered it ... but you have my eternal gratitude! the original pedals were switched out (probably sold off) and some glow-stickers and gold marker decorations were added to it... but all in all, it's in pretty good shape, still has the original seat and handlebars. I'm just glad my baby's back home safe.